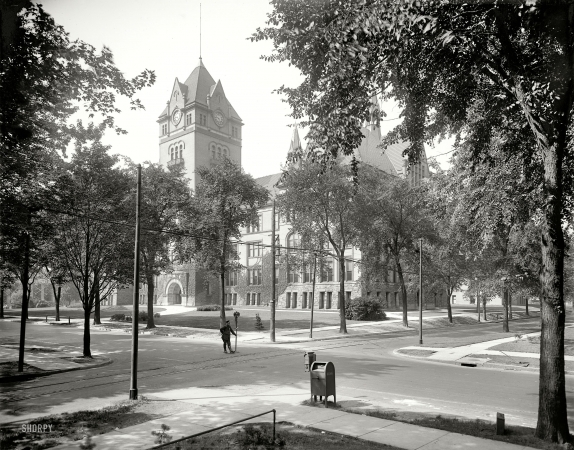 Now Wayne State University's "Old Main." 8x10 inch glass negative. Detroit, Michigan, circa 1915. "Old Central High School."